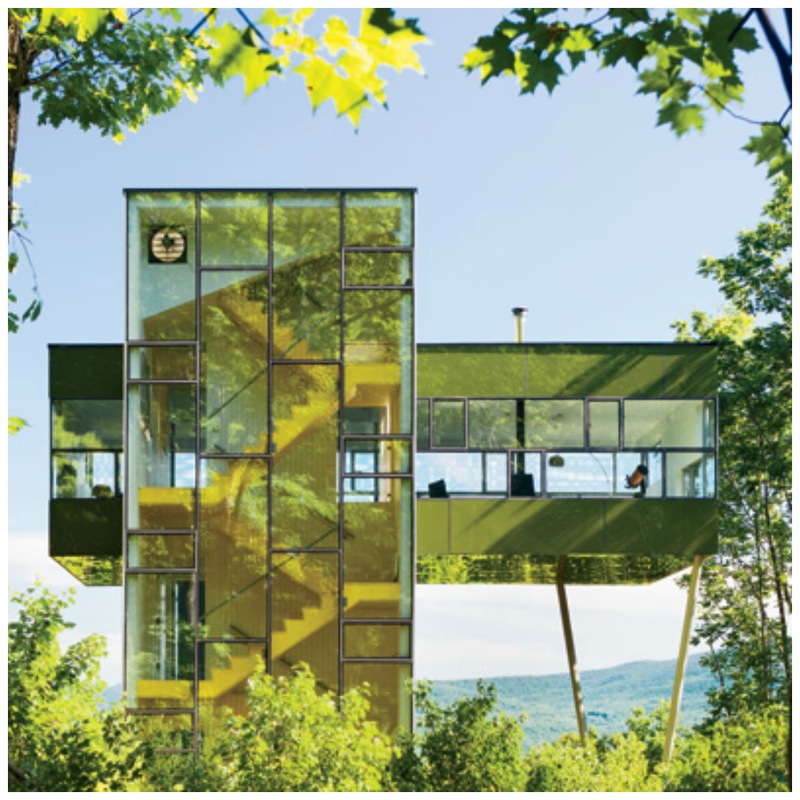 The Tower House, designed by Manhattan based architect Thomas Gluck is MY FAVE architecture pick of the week. 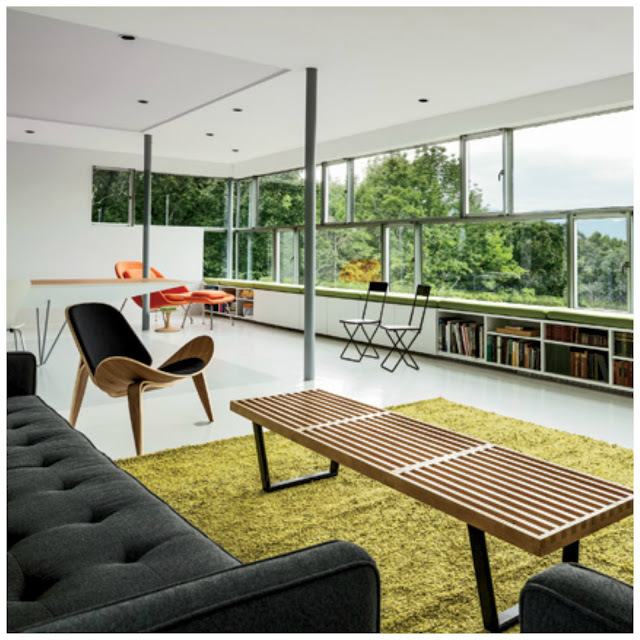 The modern solution to a tree-house is the architects' vacation home in Ulster County, New York about 100 miles outside of NYC. Imagine living within a lush landscape and totally immersed in the woods. You would be loving views and feeling your blood-pressure go down, down, down. I love that the glass-clad design is inverted- bedrooms are below and the living spaces are upstairs.What is so impressive is the dining room is cantilevered 30 feet from the ground! The reflection of the trees off the glass skin must be magnificent! 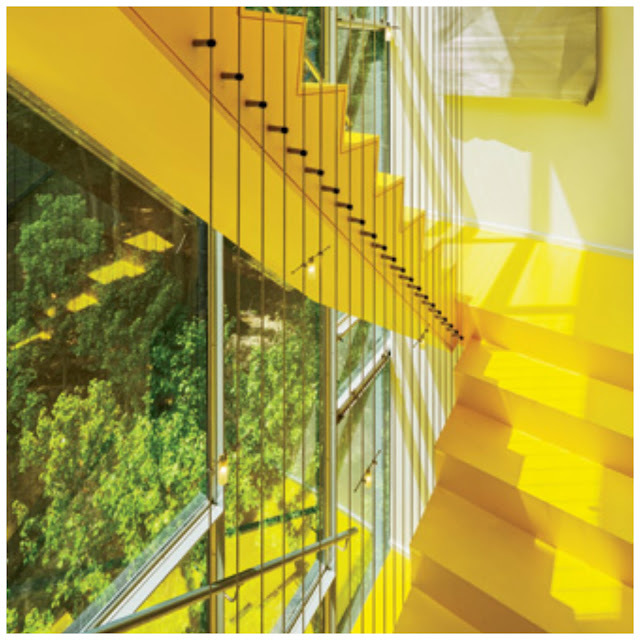 And the yellow switchback stair is really fantastic...it connects all four levels with cables that acts as a railing. Great detail! The stairs leads you to a rooftop deck. Ahhh, feel the serenity! Love the corner views of glass in each of the rooms: seen in the living room with the built-in bookcase/seating element below the windows and in the breakfast area.